The Barclaycard Facebook page has published a series of infographics illustrating how contactless payments have seen a significant increase in frequency, value and availability across the United Kingdom. 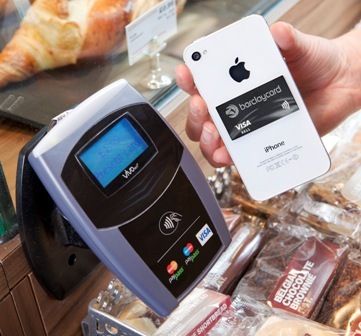 UK numbers show contactless payments has increased five-fold by going from 710,000 transactions in December 2011 to 3.8 million in December 2012. Another illustration depicts how the total value of contactless payments in the UK has grown during the same time period, rising from GBP 4.1 million in December 2011 to GBP 26.7 million in December 2012. The frequency and value of contactless transactions are not all that have increased, so has access to the payment method. Another infographic – a timeline – demonstrates how more than one million journeys have been purchased through contactless payment technology on Transport for London (TL) buses since it was made available for travelers on the network in December 2012. Since its launch, the number of contactless payments on TfL buses has been steadily rising each week. At its inception, the system reported 2,061 people making roughly 2,586 rides paid for using their contactless payment card. That number has since jumped to 10,000 people taking as many as 16,000 rides each day. Additionally, the number of contactless retailers has also grown, as indicated by a fourth image posted on the page – a map of the M25 area listing the presence of 33,507 contactless payment terminals in May 2012 and 41,314 in December 2012, which represents a gain of 23 percent within a single year. These recent photos presented on the Barclaycard Facebook page clearly illustrate how contactless technology is becoming an essential part of the daily routine for people across the UK.